Gopinatha Pillai’s house is isolated from the rest of the village. There is only a mud road that leads to the lonely double-storeyed house in Thamarakulam, a small village in the Alappuzha district of Kerala. The train from the state capital Thiruvananthapuram takes two hours, while the cab ride from Kayamkulam junction took another half an hour. He was all alone in the house, packing rubber into small envelopes, when this correspondent visited him. He was clad in a lungi and a shirt left open, his body full of scars. It was very humid inside the house, set in the middle of a rubber plantation. Outside, you can see the trees bleeding rubber into coconut shells. 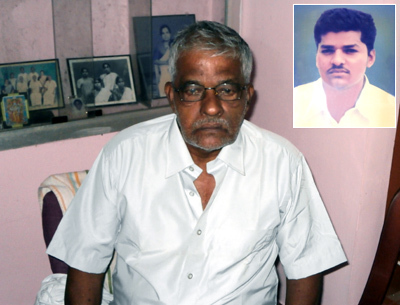 Gopinath Pillai lives lone, since his wife died of cancer and his son Javed Ghulam Sheikh (formerly Pranesh Pillai) was shot dead by the Gujarat police in June 2004, along with Ishrat Jahan and two others. Since then he has been trying to prove his son’s innocence, and has been fighting a court case to prove his son’s innocence. His other son is divorced. The house is haphazard, and you realise the absence of female touch there. “Let me get my clothes, it’s beginning to rain,” he said and went slowly to take them out from the clothesline. Tell us about your son Pranesh, how he became Javed Sheikh. And how did he know Ishrat Jahan? Pranesh was a smart boy. When he finished his matric in Kerala, I took him with me to Pune. I was working in a company there which had a vacancy for a boy to lay cables. So I put him in a polytechnic to study that. At that time only Mahindra and Mahindra and Benson were making cables. The company I was working for was the sole selling agent for Benson in three states. I sent him to the Benson company in Jagadhri, near Agra Cantonment, to study. He finished the course with flying colours. He came back and joined my company but he was not happy with the salary. In 1990 I quit my job; when I joined I had told them that I would work for eight years only. I knew that in eight years the rubber trees I had planted would be ready for harvesting and I wanted to be there. My son returned with me although I told him to continue working. Benson had an office in Mumbai and Pranesh worked with for over a year. After that he was in Mumbra, (Thane district, Maharashtra) where lots of new buildings were coming up, as an electrical contractor. I visited him once at that time. (His voice swelled with pride). He had 10 to 15 people working for him. He was only 26 at that time. When I was living in Pune, Sajeda used to live opposite our house. Her brother and Pranesh used to play cricket together. Even when he was working in Mumbai he used to spend his weekends in Pune. He and Sajeda became friends and then he fell in love. Pranesh used to stay in their home for the weekend. When they decided to marry she told him to convert to Islam. Thus Pranesh Pillai became Javed Ghulam Sheikh. My wife had been admitted to Kottayam hospital and he had come to see her. He told her that not only was he married, he also had a one and a half year old child. She then insisted on seeing the child, so he went back immediately and brought her with him. At that time I had a Jeep. I received them at the railway station and took them to the hospital. They spent a month with us, till my wife recovered and came back home. Then they went back to Mumbai. In 1999 my wife again fell seriously ill and died. Pranesh was joining a new job in Dubai and had left Mumbai four days back. He could not come down but told his wife to attend the funeral. Those days there were no mobiles. She came but got lost on the way, got down at the wrong railway station. It took her two days to come here, and arrived the day after the funeral. Her aunt’s son came with her. She was here for a week and then went back. Even last month she came here with 15 of her family members. They were here for a fortnight. They went all over Kerala and also Kanyakumari in Tamil Nadu. What was Pranesh doing in India at the time of the encounter in 2004? Pranesh worked in Dubai for 18 months. In the latter part of his service the contractor paid him a few thousand rupees less on some pretext or the other. He did not like this so applied and got a job with the Dubai government. The contractor got upset and cancelled his visa. He came back and stayed here for six months. After that he went and joined the Dubai government company as an electrician. He took his wife and children there with him, and the children were studying there. He wanted to buy a flat in Pune so he sent his wife back with some money. Pranesh rented out a small shop and had bought attar and scents to sell there. Ishrat Jahan was to run that shop after college hours. As she was in an arts college, it finished by lunch time. The travel agency was also to run from the same place. He needed a licence to run the travel agency but this was delayed by a month. That was the only reason he stayed back. Otherwise he would have gone back to Dubai where he still had a very good government job, as senior cable joiner with a salary of Rs 1 lakh (again pride in his voice) in the Dubai Electricity and Water Supply Company. The CBI has said they were killed in a fake encounter, but why did the Gujarat police pick them to be killed? 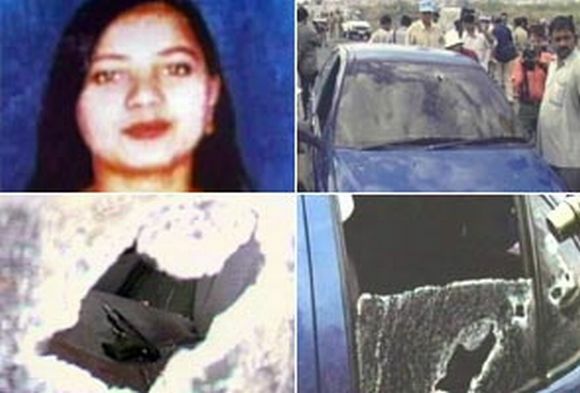 According to the police, this girl Ishrat received a phone call from a terrorist. Then she called Pranesh. That man called her four times and she called Pranesh four times. That was the connection the police say was the cause for them to suspect he was also involved with them. Pranesh was in Kerala. The cops arrested Ishrat and made her call him urgently to Mumbai. And they arrested him when he went there. They brought in two petty thieves who were in jail in Kashmir. They turned them into Pakistanis, which is not very difficult. But they did not even realise that Pakistani passports are not in English, they are in Urdu. They had created their IDs on what looked like playing cards. 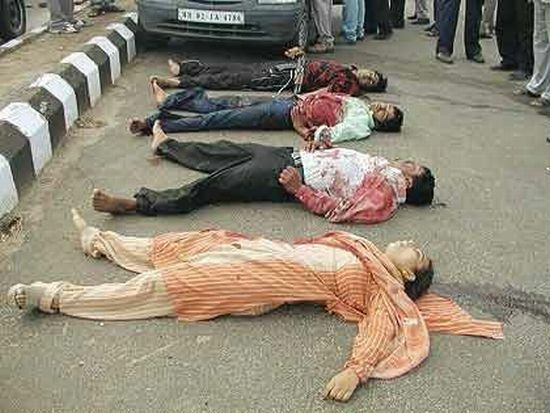 The police at that time insisted that the phone number of the person calling Ishrat was a known Laskhar-e-Tayiba number. Who knows the actual truth! Now they are saying it’s false. (Laughs heartily but the sorrow does not leave his eyes). So far my lawyer has been fighting to prove his innocence. Now he will file for compensation. Not for me, but for his three little children. How much money have you spent in the last nine years on fighting this case? I did not write down the accounts every time I spent for my son. I can tell you that I sold two and a half acres of rubber plantation. With that money I bought three flats in Pune for my grandchildren. I told Ishrat to live in one, and rent out the other two. When they grow up each will get one flat. I am sure they will earn enough to eat and feed their family. But buying a house is difficult in a city, so I bought all of them a house. It’s for their security. It’s the least I can do for Pranesh’s kids. And the rest of the money from the sale I spent on the case. Today I have no money. I borrowed Rs 10,000 to go to Ahmedabad as my lawyer has called me. (He pulled out old family albums to show me the kids' photographs but could not find a photo of Sajeda, his daughter-in-law). During the London train bombing not a single dead body was shown on live TV. There were no journalists crawling through the vents for exclusive photos. But in India the June 15 killings in Gujarat were flashed across the nation. Four young bodies lay on the road, covered in blood, no one bothered to think of what effect that image would have on the parents. We bring up our kids with love and care. We protect them from the Sun, the wind and the rains. We cannot bear to see an ant, or even a mosquito, biting our child. In Tamil there is a saying, Veliyei payirai menjidu, which means the fence itself ate up the crop. The very police who are supposed to protect us, gun down our children as if they were from an enemy country. And the media flashes their photos across the world. And now, nine years later, they say it was a fake encounter. Everyone now knows my child was innocent. I always knew it. But innocent or guilty, he is still dead.